Lung cancer is one of the most common cancers with non-small cell lung cancer (NSCLC) affecting the majority of patients. Presently, lung biopsy is used to analyze tissue and determine the course of treatment. This procedure is invasive and it often takes time to test the tissue. Patients with NSCLC may possess gene mutations that lead to cancer development and that may also affect the response to treatment. We previously reported on the development and the potential of liquid biopsy, a method that can be used as an alternative to the current standard. Cancer can survive treatment, adapt to changing environments and spread around the body. An exciting new clinical study highlights the use of liquid biopsies in monitoring and “predicting” cancer in lung cancer patients. Researchers have developed a test that can assess and compare genetic changes in tumors and in the blood. Early detection can be made by sequencing the circulating tumor DNA in the blood to detect lung cancer. The blood test could detect the reoccurrence of cancer up to one year before any other method available. 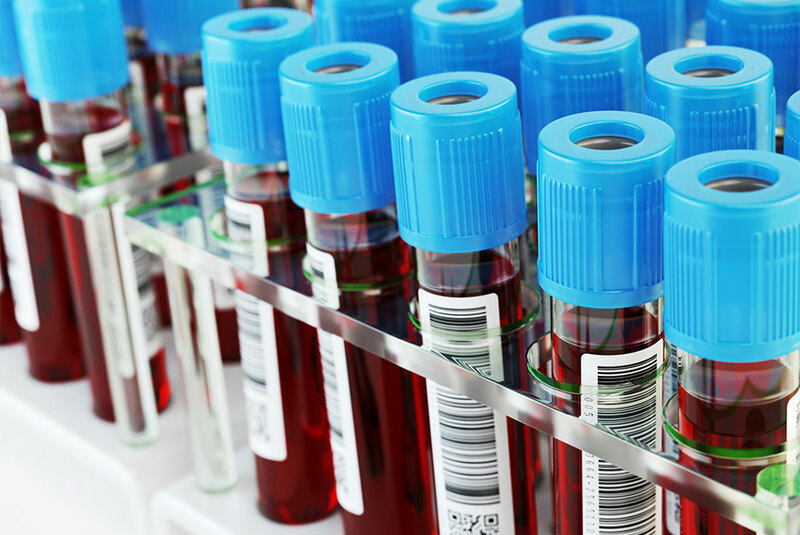 Liquid biopsy enables real time monitoring and personalized treatment. It gives hope to patients surviving lung cancer and the unfortunate potential of a relapse. By detecting a few cells early on, it will increase the chance of patient survival. Currently, liquid biopsies may be performed alongside more traditional treatment to provide better patient care. This study provides a new approach to drug development and cancer treatment. Enzo Life Sciences provides a wide variety of products for your Cancer and Genomics research needs. We offer an extensive portfolio including labeling and detection kits, substrates, active proteins, antibodies and inhibitors. Our SCREEN-WELL® Cancer Library is a collection of 275 compounds that can be used for screening and assay development. The library contains small molecule inhibitors that affect mTOR, aurora kinases, tyrosine kinases, PI3K, and HDAC, as well as many other structurally and mechanically different compound classes. The SCREEN-WELL® Cancer Library is an essential tool for drug development and cancer inhibitor screening.